Digging into philosophical mires where they insist that they are right despite how silly they look; they are almost never wrong, especially if it means that a Christian is right about something. Essentially, the atheist insists, "I'm right, you're wrong because I said so!" They're cute when illogical. But enough of my observations and speculations on the atheism worldview. Atheists are “coming out of the closet” and becoming more vocal about their message that “there is no God.” Professor Richard Dawkins (Britain’s leading atheist) is encouraging those who share his views to express their opinion. 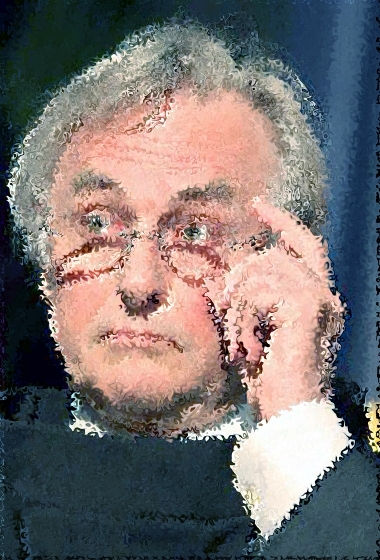 Author of The God Delusion, Dawkins says he wants to “free children from being indoctrinated with the religion of their parents or their community.” Will Christians be prepared to “give an answer” to the atheists’ claims? Materialistic atheism is one of the easiest worldviews to refute. A materialistic atheist believes that nature is all that there is. He believes that there is no transcendent God who oversees and maintains creation. Many atheists believe that their worldview is rational—and scientific. However, by embracing materialism, the atheist has destroyed the possibility of knowledge, as well as science and technology. In other words, if atheism were true, it would be impossible to prove anything! Read the rest of "Atheism: An Irrational Worldview" here. Buon giorno. Although it shouldn't, it amazes me when atheists will pretend that not only are Christians lying about being harassed and persecuted (despite frequent documentation in this Weblog and in other places), then they try to act like they are the victims! I strongly suspect that any "discrimination" against atheists are because of their vituperative personalities (and doing stupid things, like the atheist that applied for a job with a church group) rather than the simple fact that they are atheists. None so blind as those who will not see, huh, Lela? DefendChristians.Org solicited the members of their online community to vote for their choice of the top ten anti-Christian acts of 2011 in the U.S.
"I am always surprised at the results of our poll and this year is no exception," said Dr. Gary Cass of DefendChristians.Org. "The fact the number one and number two issues are public policy and political in nature shows Christians are very concerned about the political direction of the country. I wouldn't be surprised if this translates into a strong political response in 2012." These results do not necessarily represent the views or priorities of DefendChristians.org. They are a measure of the opinions of a cross-section of subscribers who responded to our online poll. Not so fast, Freddie. You can read the rest of "Surprising Top Ten List of Anti-Christian Acts of 2011" here. But it pales in comparison to the outright persecution (including torture and murder) of Christians in atheist and Mohammedan countries.